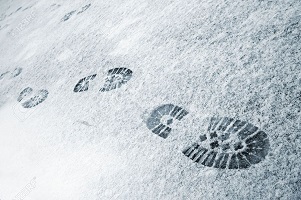 With the recent snowstorm, winter boots have been flying off the shelves! After a very mild start to winter, with a string of warm days, including a 70+ degree day on Christmas, the script has flipped and it’s nothing but cold! If you’ve noticed in the last couple of weeks that your old boots just aren’t cutting it, it’s probably time to pick up a nice pair of winter boots from Red Wing to tackle the cold. At Red Wing, we don’t carry boots built only for winter weather. We don’t think that’s a good approach. After all, you’re not just wearing cold-weather boots because it’s cold outside, you’re wearing them because it’s cold outside… and you have a job to do. Instead, what we offer are simply great boots, that are built to be capable of getting any job done, all while withstanding extreme cold and adverse weather. If you have to spend any time outside doing your job this winter, we’ve got a pair of boots that will keep your feet warm and dry, without sacrificing superior grip and protection. You can find winter boots in our Irish Setter, WORX, Vasque, Work Boots, and even Heritage collections. Just let us know what you’re looking for, and we’ll find you a pair of warm, dry, rugged, dependable, winter boots. Get in Touch to Learn More about Red Wing’s Winter Boots! If you’re ready to get fitted for a pair of winter boots from Red Wing, head up to one of our 3 Richmond area locations and talk to one of our footwear experts. We’ll get you all taken care of! If you want to learn more about Red Wing’s winter boots, or have anything else we can help you with, get in touch! We’re always happy to help out! Give us a call, send us a message on Facebook, or contact us online!